Just under one month ago, the Bulldog basketball team was dropping into the consolation half of the 2018 Poe Corn Invitational bracket following a 97-64 loss to Roswell High. But healthier, more battle-tested, and finding their stride as the second season of District 4-AAAA approaches, the boys in orange had other plans Tuesday at Bulldog Pit. They required a fight down to the final buzzer to execute, but by the time it sounded, Artesia had secured the upset, topping the Class 5A eighth-ranked Coyotes by a final of 72-67 before an appreciative home crowd. “I’m just pleased,” head coach Michael Mondragon said today. “I thought our effort was probably the best four quarters of focused basketball we’ve had all year long. We’re getting healthy at the right time, getting some momentum going before we get into district play, and we’re starting to play better basketball. 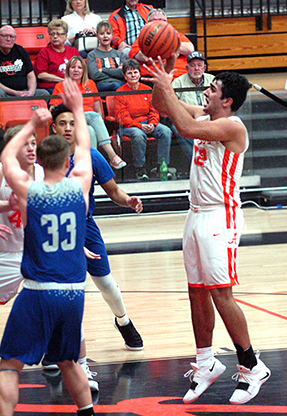 The Bulldogs struggled with turnovers in the opening quarter Tuesday, which slightly hindered an early offensive showing that was impressive nonetheless, as the boys in orange went 8-11 from the field to the Coyotes’ 2-13. The ‘Dogs did the bulk of their damage in the paint, going on a 10-0 run to start the period that featured layups by Luke Nelson and Kale Mauritsen, and a pair of shots under the basket by Anthony Armendariz. Roswell didn’t get on the board till the 4:30 mark and were down by 12 late, 18-6, following shots off the glass by Nelson and Jacob Creighton, a Cody Smith jumper, and a drive to the hoop by Clay Houghtaling. A bucket from Miguel Baray and two from the free-throw line by Taymon Burrola, however, helped the Coyotes pull back within eight, 18-10, by quarter’s end. Roswell would find its touch in the second eight minutes, however, kicking off the quarter with a layup and an old-fashioned three-point play by Burrola that were followed by consecutive treys from Baray. Two free throws by Tarren Burrola and another and-one by his brother gave the Coyotes their first lead with four minutes left in the half, 26-24. From there, Roswell was able to use its speed to get behind the defense for a few wide-open shots, closing out the half on a 14-8 run that was tempered by a Smith jumper and a pair of free throws each by the senior, Armendariz and Mauritsen. 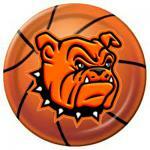 Down by five heading into the third, 37-32, the Bulldogs stepped up their game on both ends of the court. Smith went on a tear, notching a pair of trifectas and two buckets in the period, while Nelson added a three of his own, and Armendariz continued to dominate the boards, posting a pair of offensive putbacks. Artesia was able to force five Coyote turnovers in the quarter that helped limit Roswell’s offense to 5-16 from the field. An 8-0 run by Artesia in the final minutes saw them take back the lead and expand it to seven before a Taymon Burrola three at the 30-second mark set the score going into the fourth, 52-48. 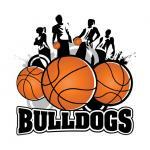 Smith kicked off the final quarter with a three and a shot off the glass, and Mauritsen and Armendariz followed with layups – the latter’s notched after coming out of nowhere for a steal – to set off the crowd and put the Bulldogs up by 13, 61-48. Artesia would hang onto the lead until, as the contest fell under three minutes, Roswell reeled off a run of their own, posting 11 unanswered to go up 67-65 with a minute on the clock. The ‘Dogs missed the front end of a one-and-one at the 48-second mark but would get the rebound and another chance with 34 seconds to go. Mauritsen put down both ends, then followed with a coast-to-coast layup after a traveling call on the Coyotes to put Artesia back in front, 69-67. Another turnover out of bounds by Roswell with 10 seconds remaining set up a 1-2 showing from the stripe by Smith, and after a technical foul was levied, Mauritsen made both free throws to set the final, 72-67. Smith led all scorers on the night with 24 points, followed by Armendariz with 18 and Mauritsen with 14. Baray finished with 21 for the Coyotes. “What we needed right now was a good confidence builder, and we got it,” said Mondragon. “We’ve been close all year. We’ve been banged up, it seems like there’s always been something nagging us, but for once, we had almost all of our guys back, and we had a great practice Monday, which I think is what really helped us to be successful. With the win, the ‘Dogs improve to 10-9 on the season as they head into their final regular-season contest at 7 p.m. Friday against Class 5A Clovis on the road. “We enjoyed last night, but now it’s time to get back to work,” Mondragon said. “Like we told the guys this morning, we have a lot of work to do to get ready for a long trip up to Clovis. Our defense needs to get better, I thought we could’ve shot free throws better down the stretch, and just taking care of the ball and executing are things we need to get better at, along with consistency – just playing four solid quarters. But I’m proud of the guys, and we’re going to look to build on our success and continue doing the things we did extremely well moving forward.